Dad looked at me and began crying so I couldn’t hold the tears back any longer. “Please invite me to your wedding. Don’t exclude me. I just want to be there”. I assured Dad that he was invited but he was starting to get confused again and said “How am I going to get there? I don’t know how I’m going to get there.” Mum and I spoke as positively as we could to assure Dad that he would be coming to my wedding and that he didn’t need to worry about anything. We would make sure that he was safe and would be there. Several strokes over a period of time had robbed my Dad of his mobility and brought dementia. It’s a devastating condition that takes away the loved-one you knew slowly and leaves behind a human being unable to care for themselves. One of the most disturbing things about seeing a loved one with dementia is witnessing the confusion and frustration when they cannot follow a conversation or don’t understand what’s happening. When my Dad gets confused and frustrated he shouts “I don’t know, I don’t know” or “Shut-up” if he can’t follow what’s being said. It’s alarming to witness and uncomfortable in public. All the pleasures in life that Dad once had are gone. He loved to watch sports, particularly football but he can no longer follow a game on TV and says that he doesn’t understand it. He loved lawn bowls and played competitively for years. He didn’t learn to drive till he was in his 40s but he was a good driver and really enjoyed taking the car out for a country drive. He had been President of the local Chamber of Commerce and had a sales career he enjoyed. When he was made redundant in his 50s and couldn’t find work, he started voluntary work at the Citizens’ Advice Bureau. He was practical, good at DIY, well balanced when it came to giving advice, listened to Louis Armstrong and Cleo Laine, he rarely drank and didn’t smoke and took the dog for long walks early morning. He loved to bellow out a good hymn in church. This, amongst all the other normal Dad-type-stuff, made him an embarrassment in my eyes! I took him to a Sunday service at St. Paul’s Cathedral once and he sang so loudly an American tourist behind us tapped him on the shoulder and asked, “Are you from Wales”? He was tickled pink to think that he could pass as a Welsh Male Voice Chorister… or Tom Jones! I am thankful that although Dad was already suffering by the time James came into my life, he could at least have a conversation with him. Much of his sparkle had gone by this time and he was not the outgoing, lame-joke cracking chatty man he once was but he was able to talk a little football with James and object to his support of Arsenal. It is a great shame that they didn’t meet one another earlier as I think they would have been great pals. My Dad said he thought James was a ‘gentleman’. I felt grief-stricken that Dad and I would not be able to share my wedding day in the way we once thought. I used to tease my Dad that at the point in the ceremony when the question was asked “who gives away this woman?” he would reply “I do… unfortunately!” I felt sad knowing that he wouldn’t be able to walk or be wheeled down the aisle with me and that he wouldn’t be able to do a Father Of The Bride Speech. I’m sure he would have made a wonderful speech. I wasn’t the only one grieving and I began to feel quite overwhelmed with my mother’s anxiety about the day. How could she enjoy a day as Mother of the Bride if she was caring for Dad as well? How would she get Dad to the ceremony? How much of the day would he be able to cope with? Why weren’t we getting married in their town which she thought was the only way Dad could cope with the day? Why weren’t we getting married in a hotel so that Dad could be taken up to his room if it all got too much? Why had we chosen a venue 30 miles away when she didn’t think Dad would be able to cope with the journey? Were James and I going to spend our wedding night at a hotel where other family members would be staying? If so, could I appreciate that she would feel it very unfair that they were celebrating with me if she had to return home with Dad? Why was I withdrawing from her and not wanting to talk about the wedding anymore? Were we going to UNinvite them to our wedding? This last anxiety wasn’t completely unfounded as there had been another close family wedding earlier in the year. Mum and Dad had received an invitation only to find it revoked once they accepted. This had sent Dad into a deep depression. He said it had made him feel “unwanted” and I think the shock of it had made Mum so insecure that she believed we might do the same. Most phone calls with Mum at this time resulted in me either crying on the phone or crying afterwards to James. Not only was I grieving for my Dad but also for the lost relationship I’d previously had with my Mum. We no longer had opportunities to share things, go shopping together and enjoy mother/daughter time. I didn’t talk to her in the same way I used to. Anything nice to talk about like a holiday or a trip to the theatre just emphasised the lack of those things in her life which caused her unhappiness. The boundlessly enthusiastic, positive, kind and patient woman I’d previously known was now an exhausted, care-worn, distant and defensive woman putting up a constant fight to ensure that Dad was treated with dignity and not left to go through this frightening disease alone. James and I had our own concerns about Dad coming to the wedding. I was grieving for all the aspects of our relationship that I could no longer enjoy with Dad and knew that our wedding day was going to be very emotional. I worried that Dad would be distressed in unfamiliar surroundings and with a lot of people around him. I was worried that he would shout out throughout the entire ceremony and that this would make me cry and not be able to stop. For me, our vows were the most important part of the day. What if the Registrar says “Speak now or forever hold your peace” and Dad starts yelling out “I said no, I said no!”? James was anxious about the speeches as he was going to refer to his late mother which he knew he’d find emotional. What if Dad started yelling out “shut up, shut up” during his speech? Our approaching wedding day was starting to look like being an ordeal rather than a cause for celebration. A few things made a difference though. I told Mum that once she and Dad received their formal wedding invitation through the post, I would only be focusing on me and James in the run up to the wedding. I needed a few weeks to rekindle the positive feelings of joy and excitement at our forthcoming nuptials. My brother Mark was an unassuming hero. He lifted the burden of all the practical issues about getting Mum and Dad to the venue. One of Dad’s favourite care assistants was booked to do the practical caring of Dad to free Mum to be Mother of the Bride for the day. A driver was hired to take Mum, Dad and his carer to the venue and to take Dad and the carer home when he had had enough. Mark would drive Mum and Dad’s car and bring the wedding cake that Mum had made for us. At least now there was no risk of the wedding cake arriving with a wheelchair shaped indentation! Our ushers were briefed to look out for Mum and Dad all day to give them any support they needed. The catering staff were briefed to give them special attention. The venue staff made sure that the wheelchair ramp was set up and they set aside a quiet room just for Dad. I talked to the Registrar about my concerns about Dad shouting during the ceremony, especially at the “speak now or forever hold your peace” moment. She said, “shall we just agree that if your Dad DOES shout out at that moment, it’s because he WANTS you to proceed?” We’d even found a venue that had a door at the front of the ceremony room, right beside Dad for a fairly discreet exit if he needed it. He did start crying out as I walked down the aisle and once I reached James I asked the Registrar if I could just take a moment to say hello to him. I gave him a hug and a kiss and told him that it was my wedding day, that he’d made it as we’d promised. During the ceremony if Dad seemed agitated and confused the Registrar held his hand and explained what was happening. He didn’t say a word when the guests were asked to “speak now or forever hold your peace” though he did yell out “Shut up” during our wedding reading. Mum gave a speech on behalf of Dad and there weren't many dry eyes at the end. She said that Dad would have probably given us some advice on marriage, "To love someone and be loved in return is a great privilege. Guard it well!" Which is so apt as even though so much of my old Dad has disappeared, he still loves me and is loved in return. Weddings are an expensive business, not just for the couple getting married but for guests too. A new outfit, travel to the wedding venue, a taxi back when you are too drunk to drive, overnight accommodation, a wedding card, a gift, confetti, childcare arrangements. Add a hen or stag party into the mix and wedding guests spend hundreds of pounds helping the bride and groom celebrate. 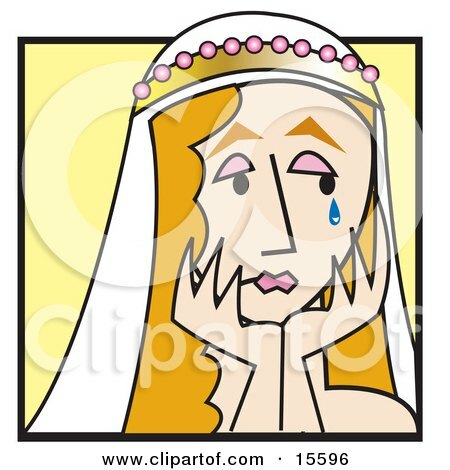 Factor into the Excel spreadsheet a year when you have two or three weddings to attend and your mood can change from one of elation for the forthcoming nuptials to despair at the thought of the impending bankruptcy trial! I thought it was too much to ask of friends that they come to my wedding AND cough up more money to celebrate my last few weeks of singledom. To be honest, I wasn’t in a celebratory mood. I was about to take redundancy from work and I felt burnt out, I was feeling stressed about wedding finances, I felt down about Dad suffering from dementia, Mum and I were upsetting each other trying to find solutions to make the wedding day possible for Dad, I was anxious about my family meeting my birth mother at the wedding and all this was putting a strain on me and James. It was Sharon who persuaded me to have a hen weekend. As she said, once women get to a certain stage in their lives there are few opportunities to take a short break from children, partners, elderly parents, work, housework and all the other things that demand our attention. A hen weekend, she said, would be that rare thing – a valid excuse for a couple of days away, a chance for my female friends to get to know each other before the wedding and an opportunity for our other halves to see how hard we work keeping hearth and home together! I picked a weekend in Hamburg, Germany, home of my friend and witness at my wedding, Michelle. She and I chose a date, researched flights and hotels, planned a leisurely, fun and sophisticated programme for the weekend and I emailed the girls. Sharon was right…. The bargaining with husbands and partners began, the RSVP’s came back thick and fast and before I could say “Ich Bin ein Hamburger” a group of 12 hens and their Head Hen were on their way from Heathrow, Stansted, Manchester and Dublin for a weekend of Hamburg Henage. We converged at Michelle’s house on the Friday evening. That’s when everything changed for me. It was impossible not to feel a sense of real pleasure, excitement and enjoyment about my forthcoming wedding when all these lovely faces were reflecting it back to me. How was it that they were all so thrilled I’d met James, so happy that I’d found love and were, to a hen, all looking forward to my wedding day when I saw my wedding day as a day that needed to be ‘got through’ - an endurance test rather than a day for joyous celebration. Michelle not only opened up her home to all my hens and welcomed us with champagne, cupcakes, and the warmest welcome imaginable but she spent the entire weekend working hard to make sure that everyone had a wonderful weekend to remember. She was tour guide, restaurant booker, translator, designer of matching hen t-shirts, instigator of naughtiness and all round good (hens) egg. We went to my favourite German restaurant and feasted on schnitzel and potatoes, we did an open top bus tour of the city, we had kaffee and kuchen in my favourite Viennese café, we had champagne in my favourite champagne bar, we went shopping, we had German sausages, we dined overlooking the harbour, we went on a boat trip, we had lunch at a floating restaurant … we talked, we laughed, we danced, we reasoned through my wedding worries and one by one they began to evaporate. What if my Dad shouts out throughout my wedding vows? No problem – my hens will join in. What if I hear Dad shouting , confused and upset and I lose it as I start walking down the aisle? No problem – my hens will all be crying too! What if things are awkward between my family and my birth mother? No problem – my hens are all dying to meet her so she’ll be made welcome and there will be no time for awkwardness. What if Dad becomes distressed during the speeches and has to be wheeled out by his carer? No problem – we’ll all just pause and continue the speeches when we can. It didn’t matter what anxiety ridden scenario I threw at them, my hens had loving and supportive solutions. Before dinner on the Saturday evening, we had alfresco harbour-side cocktails and my hens surprised me with a folder they had made for me. One by one they read from it, sharing the story of how we had met, anecdotes from our friendship and what our friendship meant to them. Some stories were hilarious and humiliating and reduced me to tears of laughter, others just reduced me to tears. I felt like George Bailey at the end of “It’s A Wonderful Life”. If I hadn’t been talked into it by Sharon I would have missed out on my own “It’s A Wonderful Weekend”. I'm a 47 year old woman with a rebellious streak who loves cats, black and white films on rainy days, fresh ground coffee, going to the theatre, laughing till it hurts, log fires, a good cry occasionally and cakes with butter cream icing! I'm a great organiser so planning my wedding was going to be a piece of cake (with butter cream icing), right? WRONG! With a small budget, unconventional taste, a plus size figure, TWO mothers (adoptive and birth), a sick father, a grieving groom and a high pressured job to contend with I found the experience stressful, painful and seemingly impossible but read how I overcame every challenge and celebrated the most wonderful wedding day of my dreams! !